I get the impression that this recipe is one Mum wrote down while she was on the phone with a friend. It’s written on the type of notepad Mum kept by the phone and it has that abbreviated feel of being hurriedly written down. 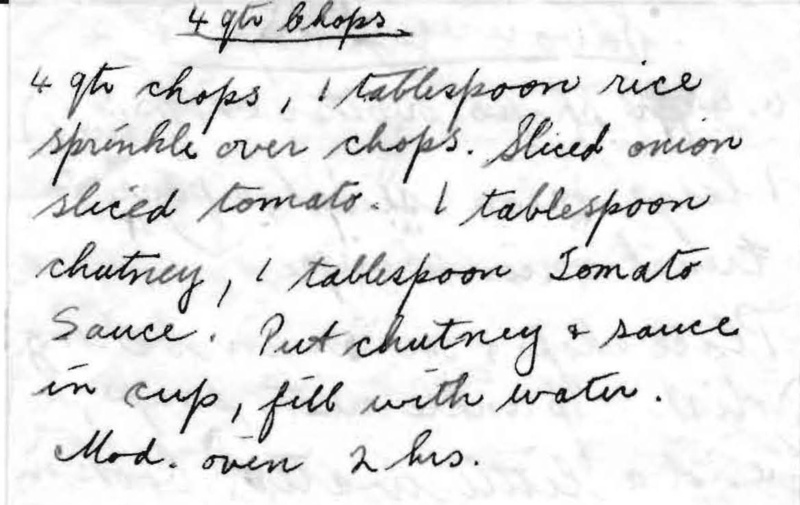 This entry was posted in All Recipes, Lamb, Main Dishes and tagged 1950s, chutney, lamb chops, lamb forequarter chop casserole, onion, rice, tomato, tomato sauce by bebsrecipes. Bookmark the permalink.